“Soul Tie” is a 2 cast period piece starring Ramsey Nouah and Okawa Shaznay and directed by Frank Rajah Arase. 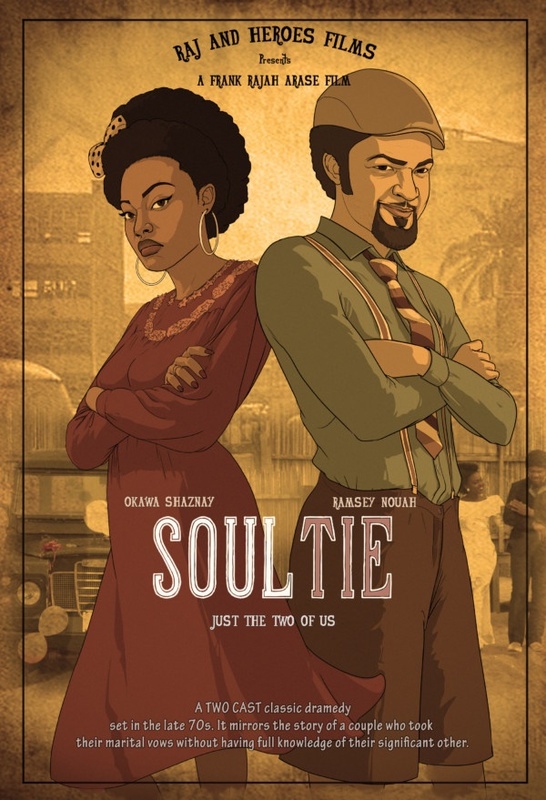 The movie centres on a recently married couple Adeolu (Ramsey Nouah) and Gloria (Okawa Shaznay) with the Soul Tie theme as its central message, set in the late 70s. A soul tie is a bond in the soul realm between two people that links their souls together, which can bring forth both beneficial or negative results. Soul ties can also be found in strong friendships or relationships and not just in marriages.